When I picked up this book at Barnes and Noble last week, it was entirely on impulse. Honestly the blurb didn’t really catch my interest, but I loved the cover and the title. A beautiful cover can always sway my decision when choosing to buy a book. I hadn’t heard a thing about this book and though I’ve heard of the author, I’ve never read any of her books. Sometimes you just have a feeling when choosing a book and this was definitely one of those times. Blue Sargent comes from a family of true psychic women, though she does possess the ability herself. From an early age, Blue has been told by every psychic in her family that if she kisses her true love, he will die. As an abstract concept, this prediction has never bothered her much. However, this year while watching as the soon-to-be dead spirits walk by, Blue (who because she does not possess the same abilities as the rest of her family has never been able to see the spirits) sees a young boy’s spirit who tells her his name: Gansey. “There are only two reasons a non-seer would see a spirit on St. Mark’s Eve” Blue is told by her family, “Either you’re his true love…or you killed him.” Suddenly Blue’s prediction seems all too real. Especially when she meets Gansey just weeks after seeing his spirit. Gansey and three of his friends: Adam, Ronan, and Noah, are Raven Boys. Rich, private school boys that Blue has always kept her distance from. But she cannot help but feel drawn toward them and their quest, Gansey’s quest, which involves the supernatural world that Blue has always been a part of. She also cannot forget that fact that Gansey will be dead sometime within the coming year. The Raven Boys had me entranced the entire time I read. Each of the Raven Boys characters are so raw and believable. Lovable and flawed. I couldn’t choose a favorite among them because each of them was my favorite. It is rare to find a novel where such conflicting characters all work themselves into you in a way that you cannot forget. Ronan’s anger and despair, Adam’s vulnerability, Noah’s invisibility, and Gansey’s unintentional condescension all make them whole. The character development of these boys was what made this novel so memorable for me. Blue on the other hand is not the most memorable heroine I’ve ever read. I liked her character, but I did not love her. The Raven Boys stole too much of the show for me to focus much on her. The story is much different than any I’ve ever read. It is supernatural at heart but sets itself apart from any other supernatural story I’ve read, investing itself in a unique type of magic. At some points it can be confusing to follow the quest which these boy’s, namely Gansey, have fervently dedicated their lives to. Once you get sufficiently into the reading, though, it is much easier to follow and I found myself captivated by the story. As love stories go, even though it begins by setting up with a true love to come, it is not too heavy on the romance. I believe this novel is setting up a love triangle to come in the next books in the series. I’ve always hated love triangles but the way that this one is set up is intriguing. Normally there is a concrete side with which you find yourself on but in this case I want both boys to get the girl. I don’t like one any more than the other for her. I am excited to see how this will play out. I would positively recommend that everyone read this novel. Especially if you are looking for something new and refreshing in the sea of Young Adult Literature where there are so few books that are unique. 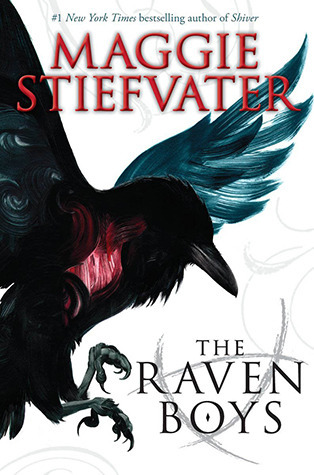 The Raven Boys was one of my favorite books I’ve read this year and I will definitely be anticipating the second book in The Raven Cycle series, which will be released sometimes next year.